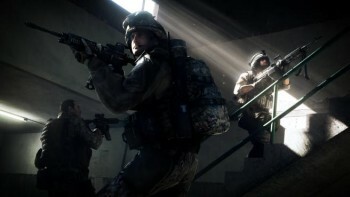 A Battlefield 3 crack that purports to allow gamers to play without Origin is out and about on the internet. One of the biggest complaints about EA's Battlefield 3 is that it forces gamers to use EA's Origin. And what's the problem with Origin? On the surface it looks like an early-stage Steam but underneath, say critics, beats the cold, black heart of spyware. EA denies it, of course, but that's exactly what you'd expect it to do, right? Anyway, if you really want to play Battlefield 3 but you really don't want to deal with Origin - and you don't mind dumping randomly patched .EXE files onto your PC - the cracking group Razor1911 might have just what you need: a modified BF3.EXE file that allows the game to operate and even play online without having to connect to EA's service. "Razor1911 doesn't accept and support the online DRM 'Origin' from EA," the group wrote in a Pastebin doc. "This release is dedicated to our fans worldwide who bought this game on legal way and don't want to install the trojan from Electronic Arts to play online." To be clear, this is a point-out, not an endorsement, and in fact I'd go so far as to say it's probably a good idea to stay away from it altogether. Aside from the fact that I can't even say whether or not it actually works [and even if I had Battlefield 3 installed, I wouldn't risk testing it], it's a safe bet that EA and DICE are already working on ways to detect and defeat the patch, and that some sort of consequences could be suffered by anyone caught using it. Consider yourself warned - if you really find Origin so intolerable, maybe the best move is to just avoid Origin-dependent games altogether.